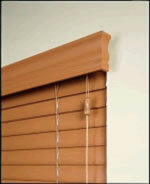 Fashionable, durable, yet economical Faux Wood blinds are an excellent alternative to wood blinds. 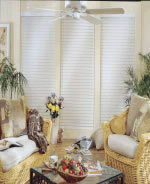 They are easy-to clean, maintain and come with a decorative 3" valance adding a finished inviting look to any room. 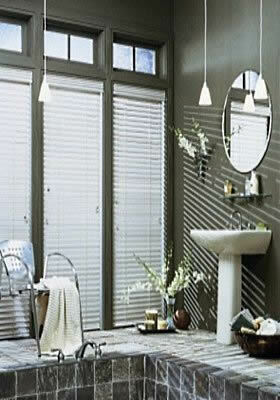 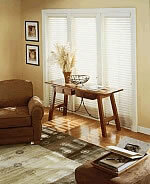 Our trained home consultant will be happy to help you decide between wood and Faux Wood Blinds.